While we’re putting the final touches to Brain Waves – our forthcoming exhibition that takes a tour around some of the best projects from this year’s graduates – let us share a few of our favourite things from the show. Brain Waves maps out four different kinds of design intelligence; here we focus on Creative Forensics. These designers hunt down inspiration, sometimes in the strangest places, gathering facts and figures and using their imagination to convert data-rich information into innovative, unexpected proposals. Welcome to the internet of bodies. 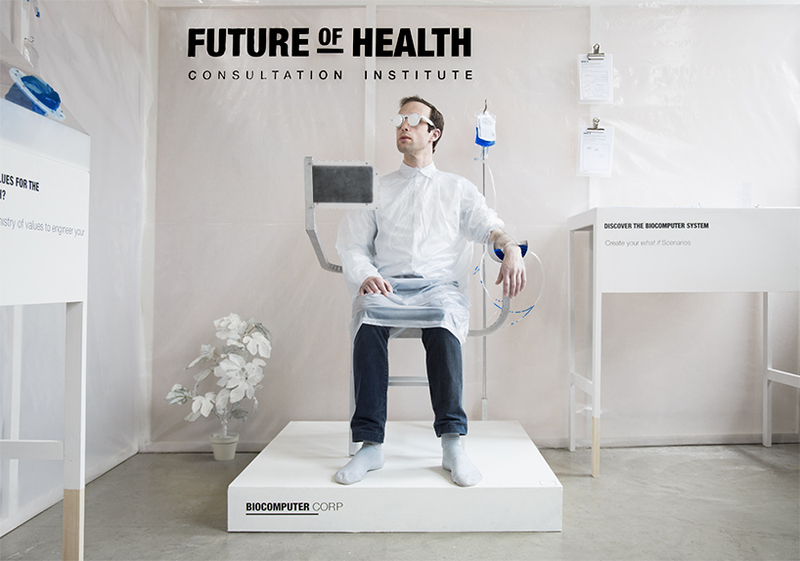 Gil’s Biocomputer goes beyond speculative design, offering the public an immersive experience of the future digitisation of healthcare. Humans are transformed into biocomputers connected to the internet in order to monitor and track the working realities of their bodies. Interspinning is based on the natural world and the conversation between man, craft and time. Aradottir documented and collected Stonemoss lichen from around her home in Thura, Iceland. These fragile plants, which take decades to grow, are the project’s inspiration as well as research into how the economic crisis and tourism in Iceland has affected the making of the famous hand-knitted jumpers. Aradottir explored the qualities of Icelandic and British wool, spinning them separately and then twisting and carding them together. 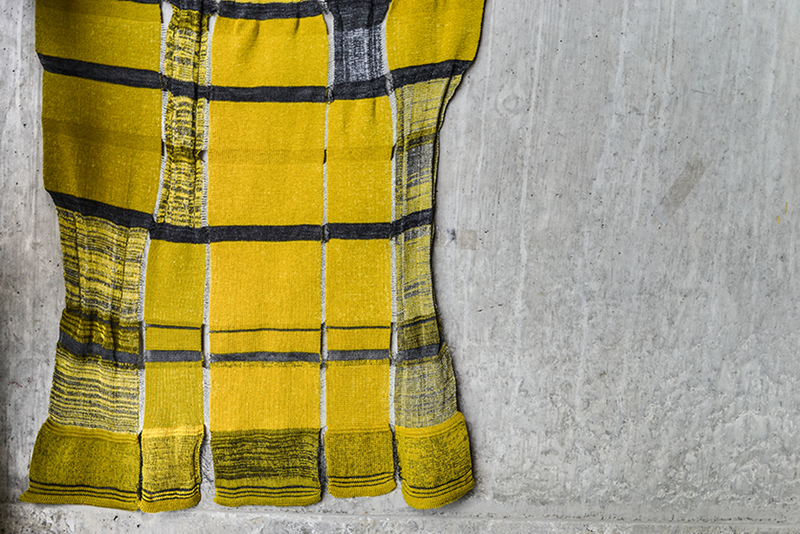 Finally, the knit and embroidery was developed as a response to her grandmother’s textile collection. She is blind but recognised each textile by touch, emphasising the evocative relationship between material, people and place. Can a typeface protest? Schofield’s set of typographic experiments explore the possibility of a typeface breaking out of its system and taking control over its content. Experiments range from the micro to the macro: beginning with the smallest form of protest expressed through the letterform itself, and ending on the largest in which the typeface takes on a will of its own subverting and disrupting the words it is supposed to form.